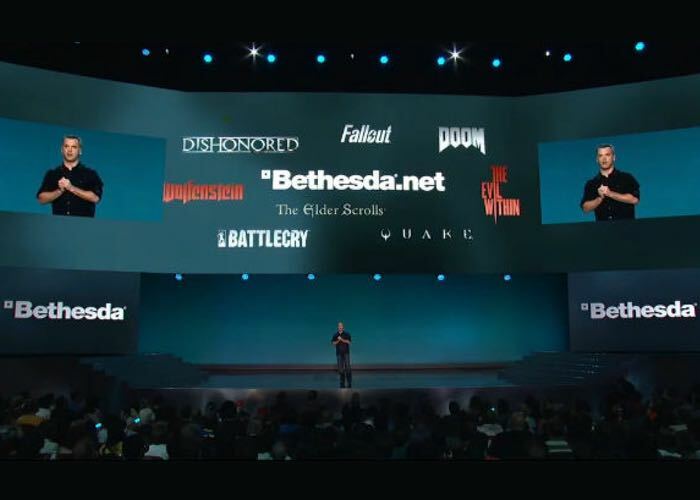 During its E3 showcase this week Bethesda announced the immanent launch of anew portal for all things Bethesda in the form of Bethesda.net. A website that will provide access to souls, community and information about the companies range of games that include Dishonored, Doom, Fallout, The Elder Scrolls, The Evil Within, Quake, Wolfenstein, and newcomer Battlecry to name a few. It will also be a place where content creators will be able to publish their work using tools such as the new Doom Snapmap map creation utilities as well as other user created content. During the event Bethesda also announced they would be launching a special edition Fallout 4 bundle that will come complete with its very own Pip-Boy, together with unveiling 15 minutes of Doom gameplay which can be viewed on our previous article here. Unfortunately very little else was announced during the showcase but as soon as more information becomes available we will keep you updated as always.